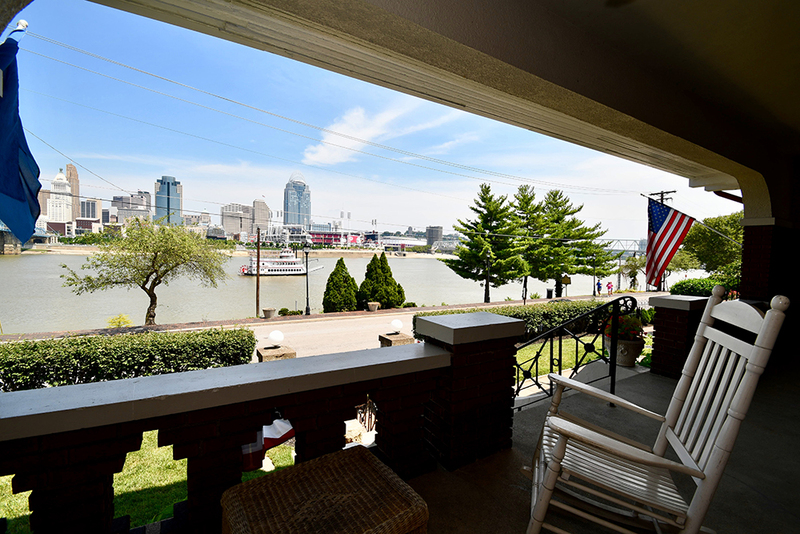 Some of the most sought-after real estate in greater Cincinnati fronts the Ohio River. 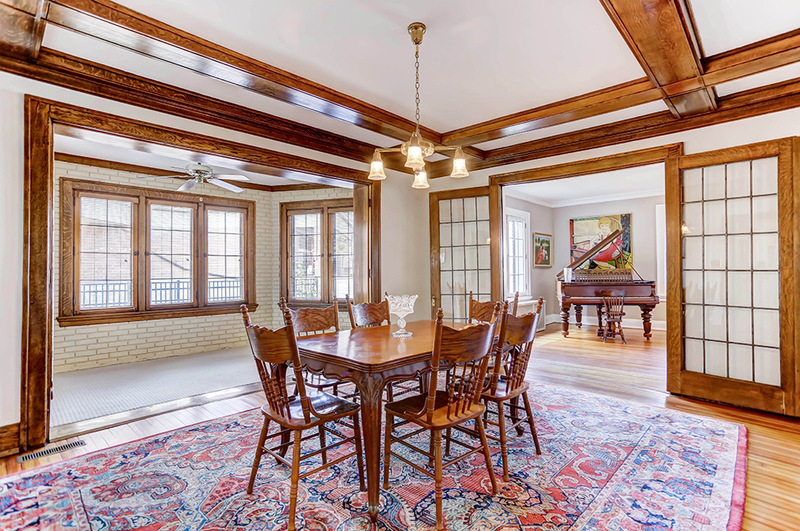 This Licking Riverside Historic District home may have the best single-family-home location we’ve seen. 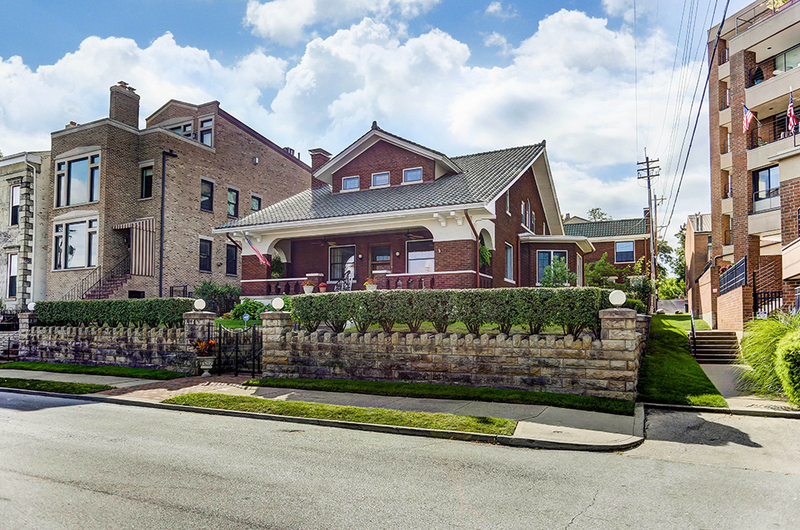 Separated from the southern banks of the Ohio by a few hundred feet of grass and asphalt, the 1923 Craftsman-style structure also has unobstructed views of the Roebling Suspension Bridge and much of downtown Cincinnati’s skyline. The possibility of Ohio River floods didn’t daunt the Flannerys—both lifelong residents of the area. When the couple moved in, the Roebling Bridge was gray instead of blue, the lot beside the home—now the Riverside Terrace condominiums—was allegedly a pony pasture, and Covington’s Licking Riverside Historic District had seen better days. Both Patrick and Anne were heavily involved in the community and worked alongside neighbors to revitalize and protect it. 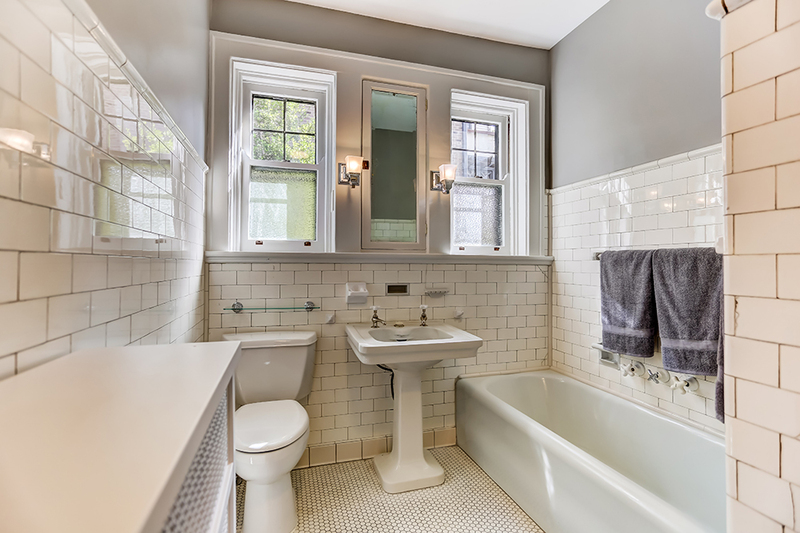 Judging from the state (and sales prices) of neighboring properties today, they succeeded. Now, the home is in search of a third owner. Inside, it has finished wood floors throughout, a large remodeled master bath and—our favorite features—an inglenook off the living room with a green ceramic tile fireplace, and a bay-shaped alcove off the dining room that was once likely a solarium. Outside, it boasts a storybook stone retaining wall, a green Italian tile roof, and an inviting front porch. 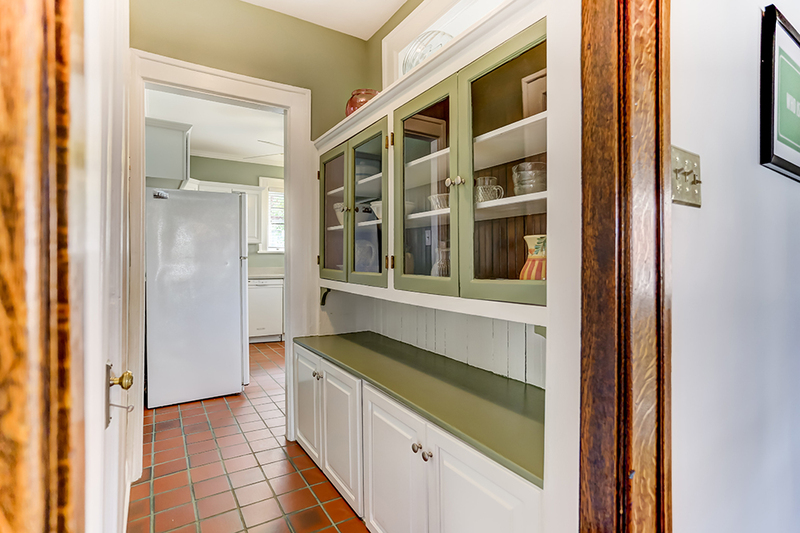 The home’s most charming feature, though, may be its moxie. 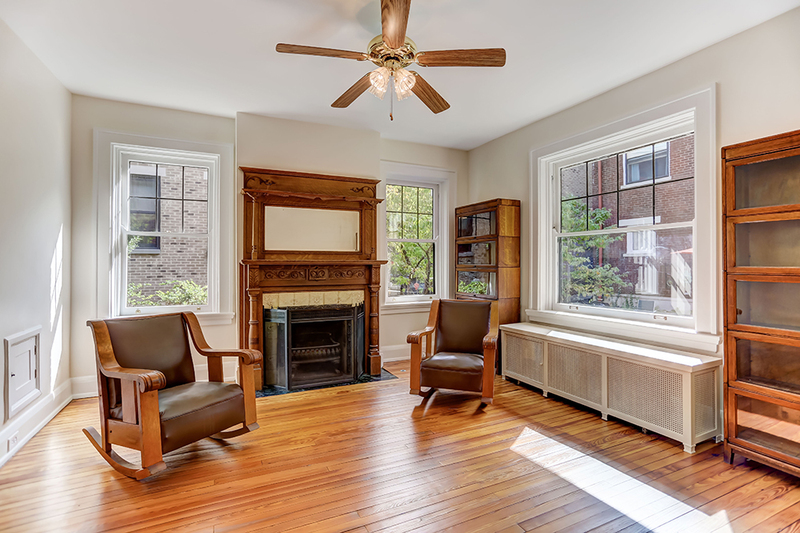 Tucked tightly between a tall, contemporary row house and the four-story Riverside Terrace building, it’s reminiscent of the house in Disney’s Up!—an enchanting holdout from Covington’s past, despite all that’s happened around it.